You are here: Home / Blog/Articles / Business Tips / Did you avoid filing your taxes this year? Many accounting firms report a familiar trend every tax season. What is the trend, you ask? Clients announcing they have several years of returns to file or because they think, they owe money have not done their return. Either way this avoidance does more harm than good. The CRA view overdue items in two distinct ways – a) compliance and b) collections. The first option requires you to file your return on time. The second results in two different charges – late filing penalties and interest. You could be liable for both if you do not file. 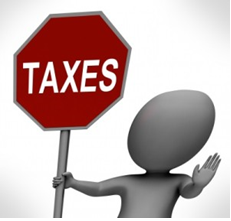 The strategy of avoiding filing your taxes could actually make the charges increase rather than minimize them. Filing on time will automatically save you the 5% (minimum) late filing penalty plus the 1% of your balance owing, which are charged each month (up to 12 months). These penalties actually double if it is your second offence. So avoiding filing is certainly not the answer, in fact it makes what you owe increase dramatically. For amounts owing from previous years, you will be charged compound daily interest and these payments will be applied to the previous years first. Therefore, if you file, you will only pay what you owe at the regular interest rate, which at this time is 5%, rather than the added charges as detailed before. Don’t avoid filing and save yourself from extra payments. http://www.oncorebookkeeping.ca/wp-content/uploads/2016/06/stoptaxes.png 221 231 Chris http://www.oncorebookkeeping.ca/wp-content/uploads/2016/06/logo-1.jpg Chris2016-07-05 01:02:542016-06-28 20:33:25Did you avoid filing your taxes this year?